CollegeBoard - The Official SAT Study Guide DVD | Free eBooks Download - EBOOKEE! Posted on 2014-05-16, updated at 2017-10-27, by supnatural. 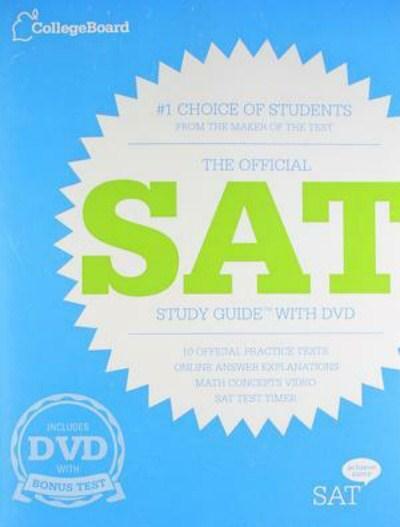 The Official SAT Study Guide with DVD is the only book that features official SAT® practice tests created by the test maker. With 1,000 pages and more than 20 chapters, it has everything you need to prepare for the SAT. o Additional Bonus official SAT test with exclusive online access to answer explanations..
o SAT Test Timer - virtual proctor and timed SAT test taking experience that allows students to hear actual instructions and take timed full length practice tests. No comments for "CollegeBoard - The Official SAT Study Guide DVD".